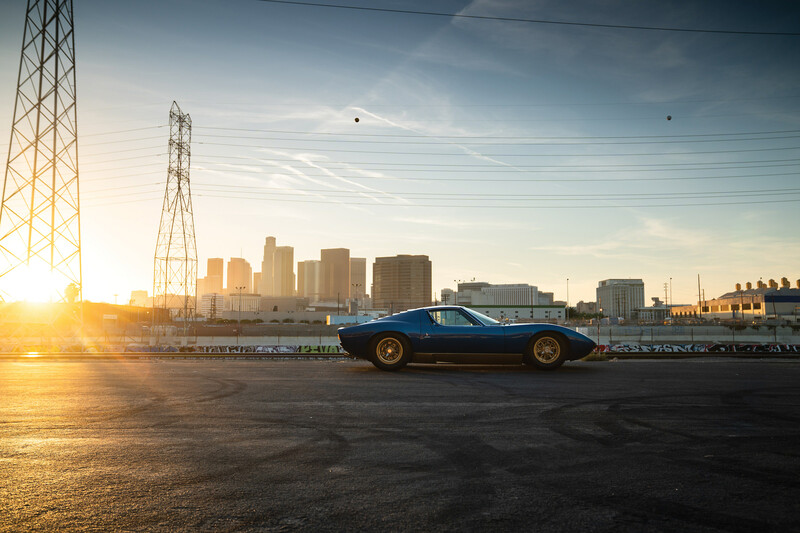 The Lamborghini Miura P400 SV was the third, final, and fastest major iteration of the world’s first supercar. 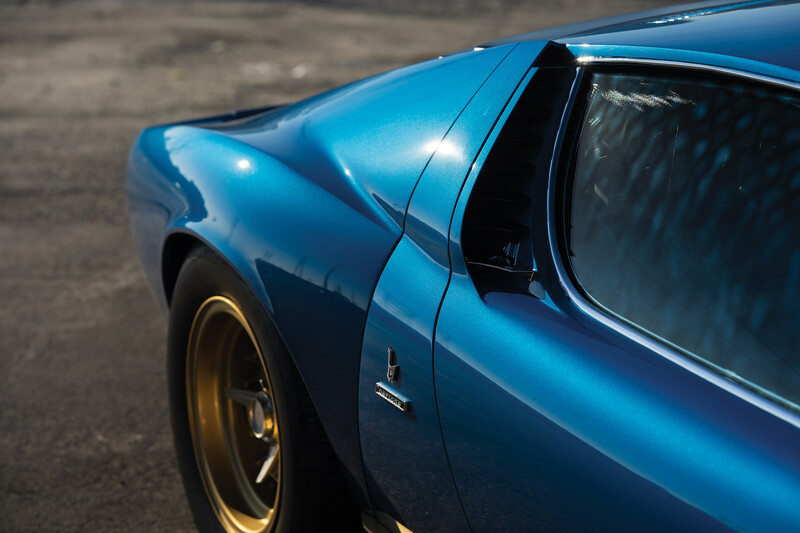 The Miura was a design and engineering revelation when it was first shown to the public at the 1966 Geneva Motor Show, the chassis had been shown a year before at the 1965 show in Turin where it had captured headlines – but it would be the impossibly beautiful body penned by Marcello Gandini that would set the motoring world alight, and flip open hundreds of checkbooks. 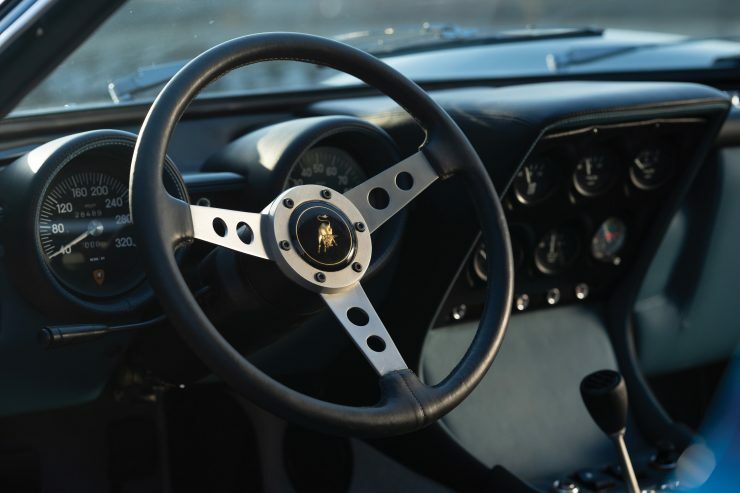 The existence of the Lamborghini Miura is really down to three of the men who ran the Lamborghini engineering department – Gian Paolo Dallara, Paolo Stanzani, and Bob Wallace. 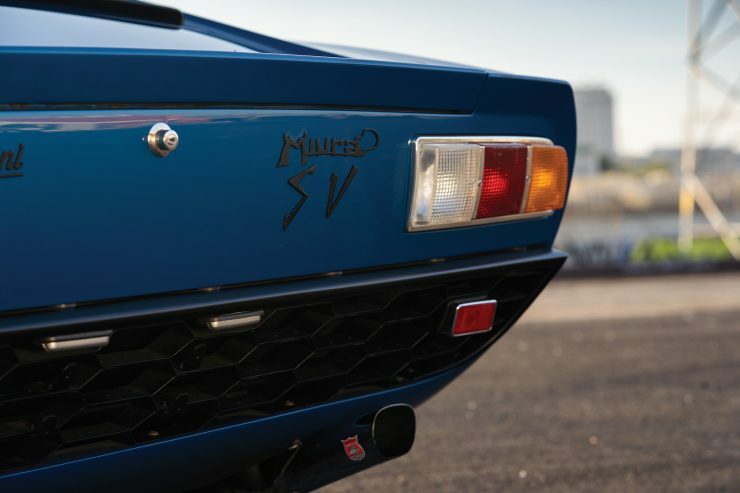 Ferruccio Lamborghini himself was opposed to the idea, and instead wanted to focus on luxury grand touring cars. 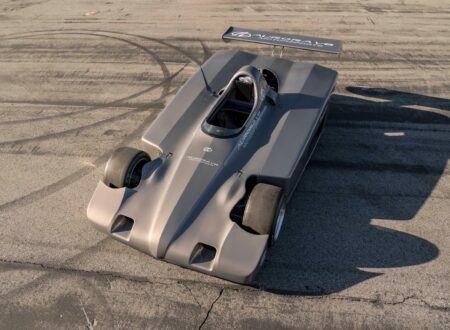 Fortunately for all of us, Dallara, Stanzani, and Wallace formed their own little secret Skunkworks division and set to work on their own concept of a road car capable of racing competitively, then driving back to the Chateau at the end of the race weekend. 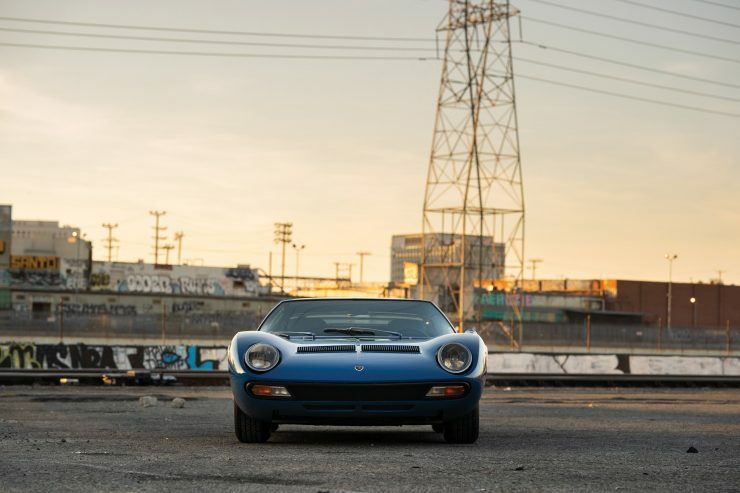 They named the project P400, for Posteriore 4 Litri (Rear 4 Litre in Italian), and set to work building a rigid, lightweight chassis shaped tightly around a rear-mid-mounted 3.9 litre Lamborghini V12. The engine was already in production for the Lamborghini 400 GT, so this simplified the project somewhat – however much work was required to integrate the engine and gearbox. 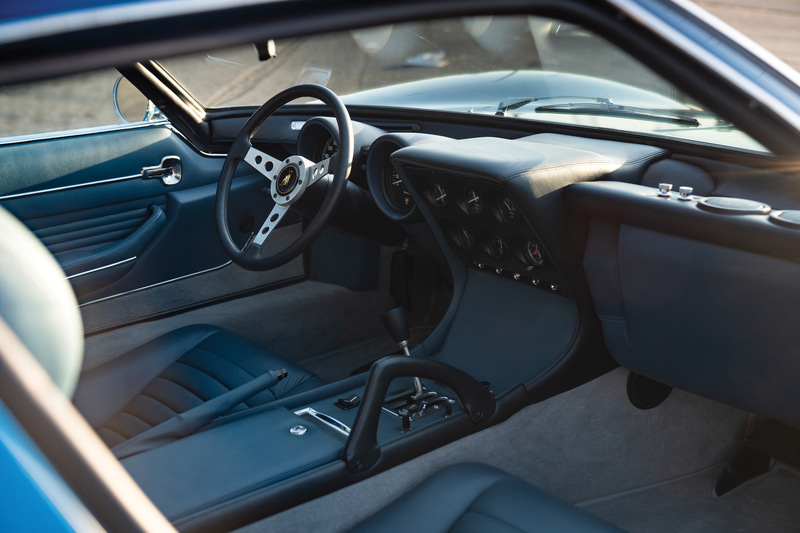 In order to fit it all in the rather long V12 was mounted sideways in a transverse orientation, the Miura’s chassis is a steel frame with a central tub section, and front/rear sections that accommodate the suspension, fuel tank, spare tire, radiator etc. 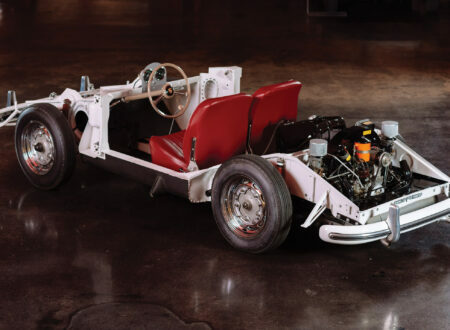 The body features steel doors with aluminum front and rear sections to save weight, suspension is independent double wishbones with coil springs on all four corners, there are disc brakes front and rear, rank and pinion steering, a 5-speed gearbox, and a dry weight of between 1,125 kilograms (2,480 lbs) and 1,298 kilograms (2,862 lbs) depending on year. 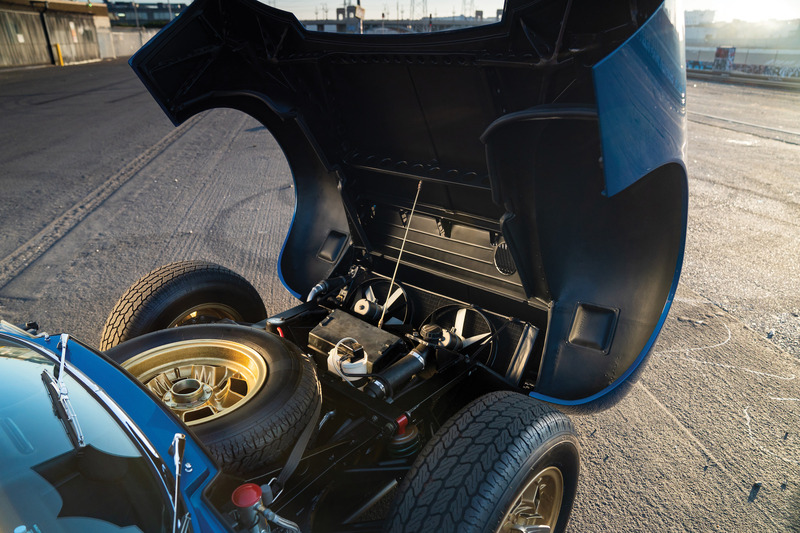 As with any supercar the most important part lies in the engine bay, the Lamborghini Miura is powered by a 3929cc DOHC (per bank) V12 with 2-valves per cylinder, a bore x stroke of 82 x 62 mm, four IDL40 3C 3-barrel downdraft Weber carburetors a compression ratio of 9.5:1 on the earlier cars and 10.7:1 on the later cars producing 350 hp in the P400, 360 hp in the P400 S, and 380 hp in the P400 SV. 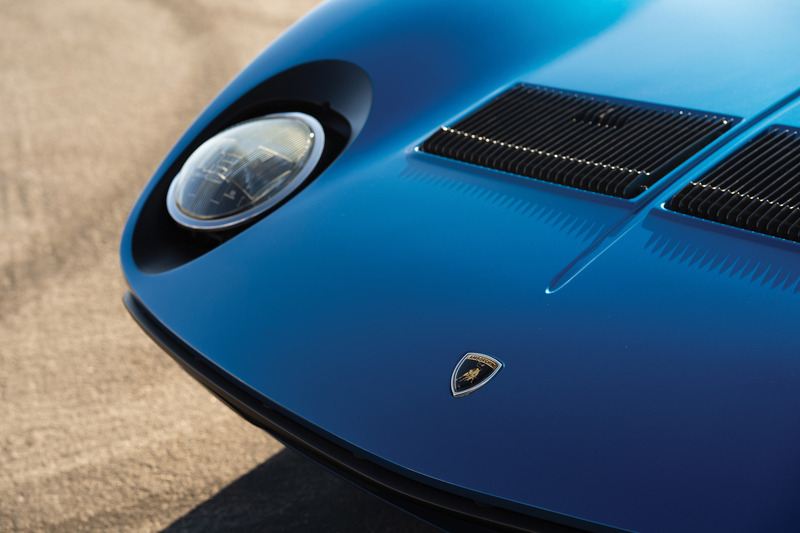 The 1971 Lamborghini Miura P400 SV you see here is the only example ever finished in Bleu Medio and it’s one of just five single-sump SVs sold new to the USA equipped with air conditioning. 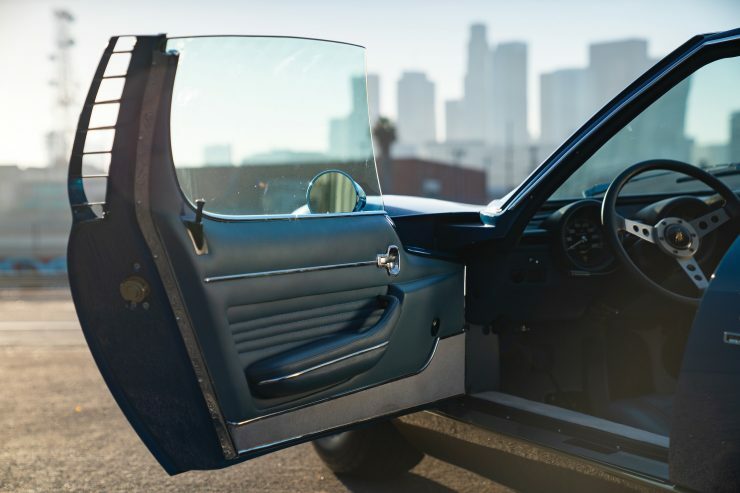 The car has had an interesting life, it lived in the United States from its initial delivery until approximately 1992 when it was sold to an owner in Japan who kept the car mostly in static storage. 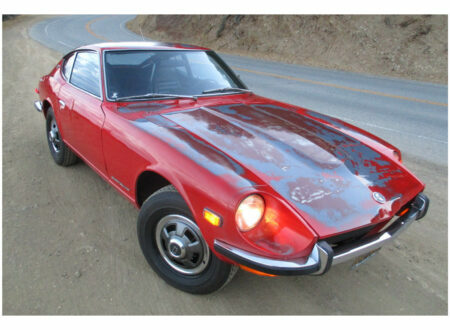 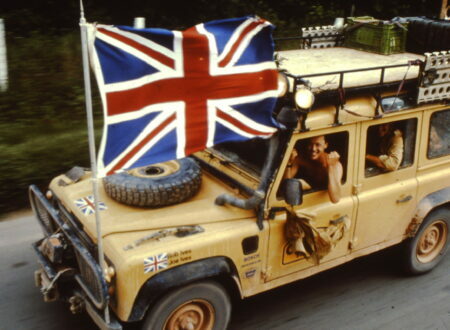 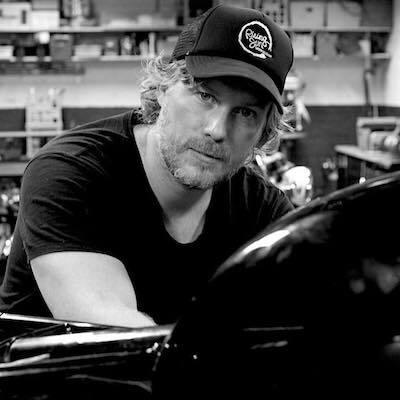 It was then imported back into the USA in 2011 before undergoing a full cosmetic restoration including a restoration to original colors by Bodie Stroud, and mechanical work completed by the owner’s personal workshop. 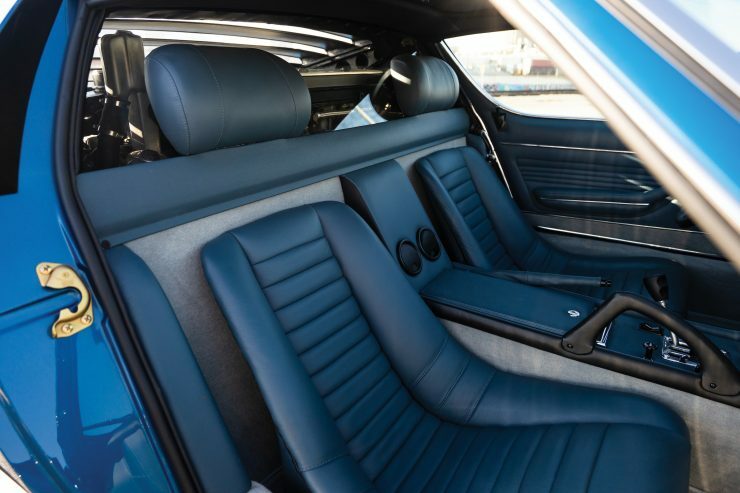 Since the restoration work was completed the car has been displayed at the Pebble Beach Concours d’Elegance, the San Marino Motor Classic, and the Father’s Day show on Rodeo Drive. 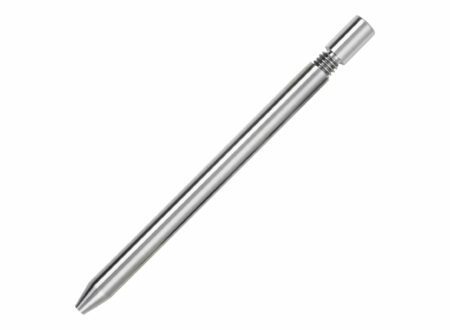 When shown, it has only been for display purposes and it wasn’t judged. 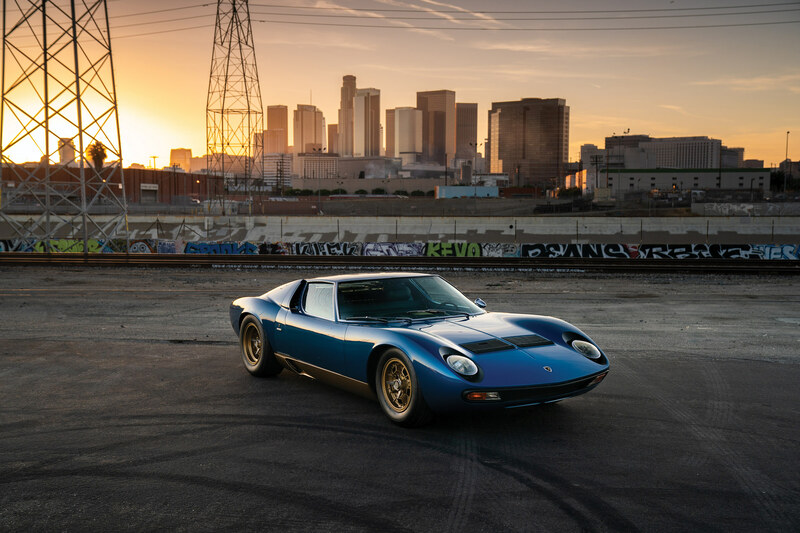 RM Sotheby’s will be offering the car at The Petersen Automotive Museum on the 8th of December with a price estimate of $2,100,000 to $2,500,000 USD, if you’d like to read more or register to bid you can click here.